We all love a good themed kitchen, right? 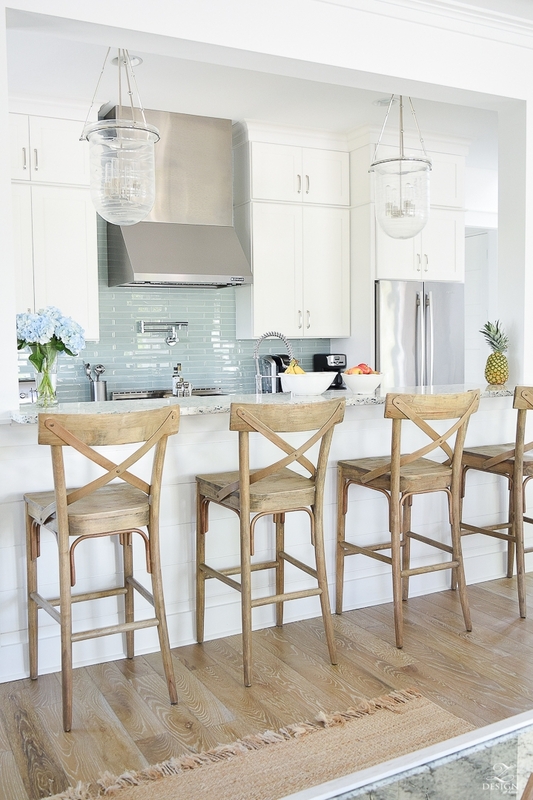 Coastal kitchens are one of our favorites, from the breezy shades of blue to the clean lines, what is not to love? Check out our favorite coastal kitchen designs below and tell us which one you love most. The wide open space, cabinets to the ceiling, and a great combination of artificial and natural light gives this design our number one stamp of approval. The cabinet molding and steel accessories (we see you bar stools!) are the cherry on top. This more subtle coastal vibe works wonders up north to wash away the winter slump. Pair a little bit of blue backsplash with white cabinets and the occasional wooden or steel accents to set the coastal tone that will shine any season. Another subtle favorite, Seashore by Legacy Custom Homes provides a breezy and open floor space with the blues and wooden accents we love. For the extremely dedicated, go with a nautical build and you'll definitely have a beautiful kitchen with an obvious coastal theme. We recommend you check out all of the projects by DiMauro Architects, just be prepared to scroll for hours and have serious envy. What is your favorite coastal kitchen? Share comments, links and photos!